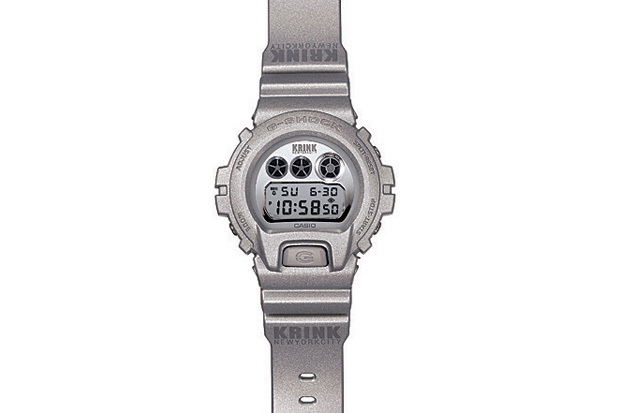 Kinetics previews this upcoming collaboration with Casio G-Shock and renowned brand KRINK. Produced in an all-silver colorway, the watch sports New Yorker Craig "KR" Costello KRINK namesake on the faceplate and other multiple placements on the band. Clean and minimal. the timepiece still retains the KRINK signature aesthetic. Coming soon via select G-Shock retailers, including Kinetics.